TravelTab combines all the features that help you travel smarter. Know where you’re headed? Just speak it into the voice-activated navigation platform and you’re on your way in no time! Exploring a new city? Use the secure Wi-Fi Hotspot to search for the best local spots and enjoy TravelTab’s lightning-fast 4G LTE Connectivity. 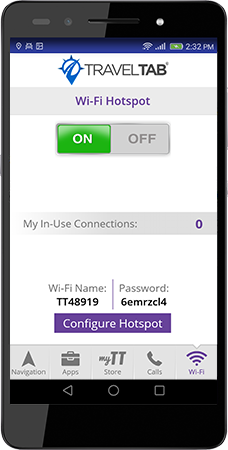 Connect the whole family to unlimited internet access anytime, anywhere thanks to TravelTab’s Wi-Fi Hotspot feature! 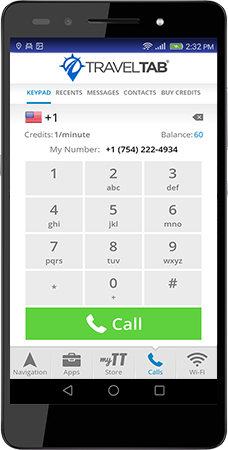 Forget the hassle of buying international SIM cards and keep in touch with TravelTab’s phone and text features. 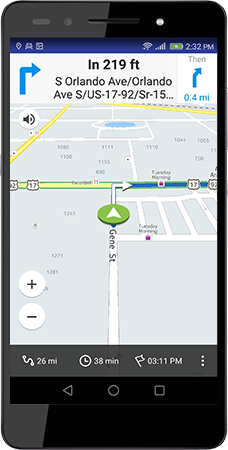 TravelTab’s voice-activated navigation guides you turn-by-turn while providing up-to-the-minute traffic data to help you arrive quickly and safely to your destination. Looking for a something to do? 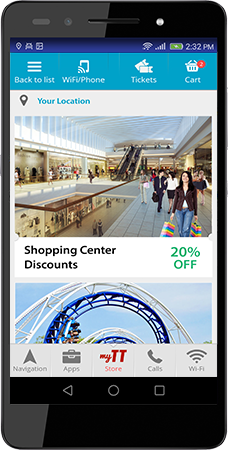 TravelTab is your source for discounts on exciting local tours and attractions, plus save even more money with our shopping and restaurant coupons. 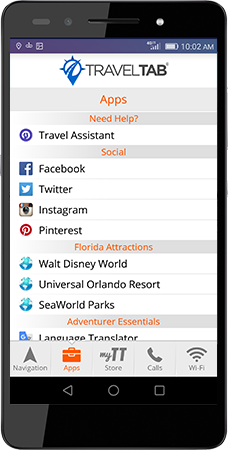 Access our language translator, stay connected on social media, check the forecast, or keep up with news back home!